Having said that I agree that we don't need a private marina on the south side. On the north side, the assholes that run the marina did not even fix the asphalt path that runs along their marina, it is full of ruts and cracks and not bikable. They don't care about the park. The park should jack up their rent. No to south marina! I agree - did you email DEP Commissioner Bob Martin to strongly oppose this new south side marina and to demand public hearings. Uproar, yes, there should be an uproar if something happens without public hearings. This state is famous for sweetheart deals. I'm not sure why everyone is in such an uproar over this. The likely location would be behind the existing sea wall, in the far west of the cut. It's currently used as an anchorage for mostly transient boaters. As a sailor, I'd love to see more boats on the upper harbor. Here'd be my guess of where it would go. Email DEP Commissioner Bob Martin to strongly oppose (even in one sentence) this new south side marina and to demand public hearings. Having said that I agree that we don't need a private marina on the south side. On the north side, the assholes that run the marina did not even fix the asphalt path that runs along their marina, it is full of ruts and cracks and not bikeable. They don't care about the park. The park should jack up their rent. No to south marina! The South side is a major recreation and picnic area for residents of Greenville. Placing another marina there would greatly restrict those areas and the enjoyment of resident of all residents of Jersey City. In the warmer months, I bike to the park daily and ride along the waterside path to the south side. I enjoy the vistas and seeing people fishing, kiting, walking, running and biking in the park. A new marina on the south side of the park would restrict the usable areas of the park. This is all we have. The park is also a magnet for visitors from the four corners of the globe. Another marina is not what we need, we need more open space as the city is building higher and getting more crowded. The NJDEP needs to have a public hearing to hear the concerns of the local residents. The proposed commercial marina at the south end of Liberty State Park would be a travesty. It would obstruct the priceless views of the harbor and would bring more traffic to the park. I agree with the Friends of Liberty State Park that this private facility is counter to the purpose of a public park. 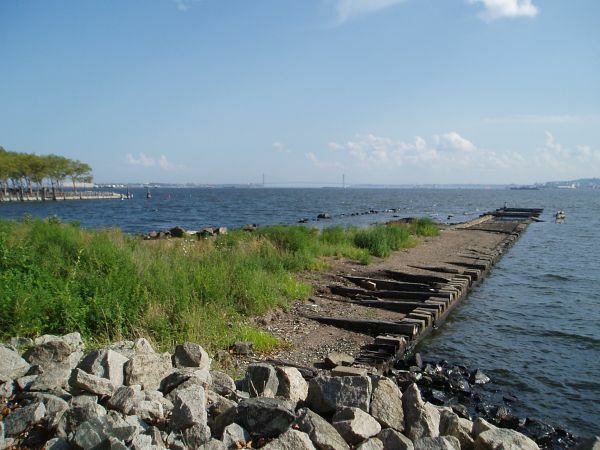 In addition, it could severely affects the Caven Point Natural Area with its wildlife habitat. I have urged the state's commissioner of Environmental Protection to reject this proposal and encourage others to do as well. The overwhelming majority of people living in New Jersey (and New York and everywhere) strongly oppose a new marina at Liberty State Park. We demand public hearings and a public comment period. You work for the people, not the one percent, and the people want parks for peaceful places for picnics and play, not private spaces only for private development and profit. Parks for for people, not profit! I am a long-time resident of Jersey City and I will continue to fight with Sam Pesin and the thousands of others who love this sacred park and appreciate ALL open, public, green spaces. We promise you this: we will not allow you or your degenerate crony capitalist cohort get away with it. We're watching you all, we are shining a bright light on you all, and we are holding you accountable for your despicable malfeasance. To hell with your obscene millionaires' marina! To hell with any sick thought to privatize one square foot of our beautiful park!